Pokemon has taken the world by storm since its release in July. Nowadays, you can’t walk in any big town without spotting a few trainers walking around with their eyes stuck to the smartphone. Pokemon GO seems to be everywhere. That includes the cyber-crime world. A Pokemon Go themed ransomware was spotted recently. The malicious software is reportedly developed by Hidden-Tear, the notorious ransomware scammer group. Considering the popularity of Pokemon Go, it’s no surprise that crooks would try to capitalize on its fame. The ransomware is masked to look like a Pokemon Go .exe file. The poke-theme is the only trait that distinguishes this malicious software from your run-of-the-mill ransomware. The ransomware was reported by Michael Gillespie on Twitter. His tweet also included the icon of the ransomware .exe file. As usual, once the virus gets into your computer, it starts to look for particular files to encrypt. What sets the Pokemon Go ransomware apart from similar viruses is that it creates a backdoor Windows account on the infected computer. This is very problematic, as it can lead to more complications to cyber security besides the already present threat of encryption. 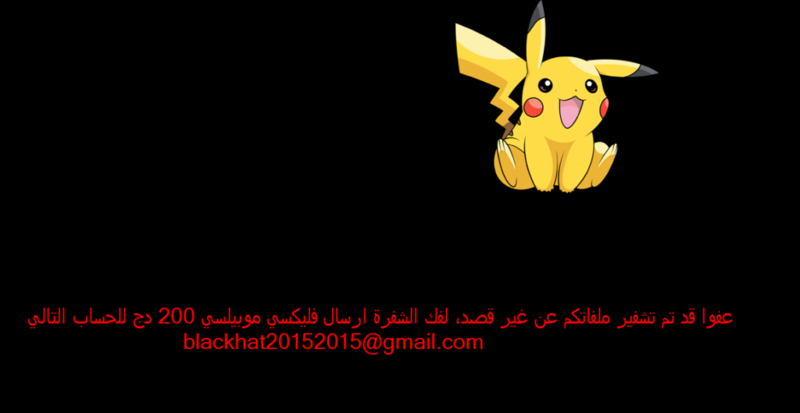 The Pokemon Go ransomware developers can use this account for gaining access to the user’s computer even after they have paid the ransom and have resumed normal usage of the system. The backdoor account that the virus creates is called Hack3r. The account gains admin rights on the PC. Then the cycle will begin again on the other system. The ransomware is likely still being developed, as it uses a static AES key, 123vivalalgerie. The ransomware also uses a private IP address, which means that the virus can’t connect to the Internet. As of now, Pokemon Go is ineffective, but users should be careful, as it’ll likely be finished and released soon. The Pokemon Go virus is going to be finished soon, and it’s likely that a lot of users will get infected. The Pokemon mania that swept the world with the release of Niantic’s hit app created a large base of unwitting users who would download Pokemon related content. There have been multiple reports of malicious apps on the Google Play store that mask as Pokemon Go related content. The original app itself has been criticized for requiring excessive permissions, like access to the user’s Google account. If you get infected by the Pokemon Go ransomware, avoid paying the ransom and try to clear you PC with a decryptor and an anti-malware tool. Don’t give money to people like Hidden-Tear, as that would only add fuel to the fire. Virus scamming is a lucrative enough business as it is. Always check whether there’s any information available for safe removal before giving any money to criminals. It’s always preferable to clear the problem by yourself instead of cooperating with the scammers, as they’re not under any obligation to keep their word and decrypt your files as promised.